The Salvation Army was a pioneer in charity shops. 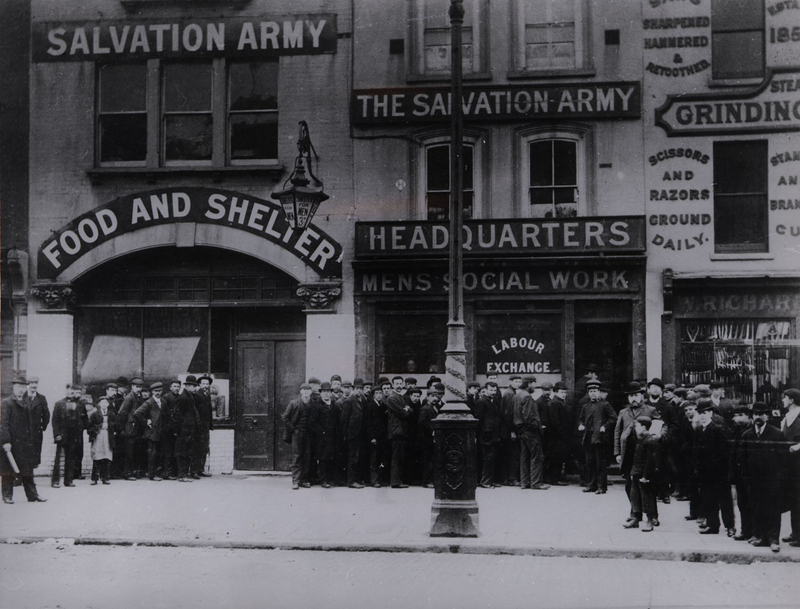 In the 19th century, The Salvation Army was one of the first ever charities to run a second-hand clothing shop to provide the poor with affordable clothes. 150 years later and nothing has changed. Between the Salvation Army Trading Company and The Salvation Army’s churches and community centres, we now operate over 380 charity shops in the UK and Ireland. As we did all those years ago, we make sure that everything we sell is good quality and affordable. Salvation Army Trading Company’s first charity shop opened in 1993 and we now operate a network of over 200 shops, employing over 370 people and more than 2,500 volunteers. You’ll find a variety of second-hand goods in our charity shops, from bargains and collectables to a fantastic range of fashions, household items, film, music and bestselling books. The Salvation Army’s clothing collection service has its origins in a scheme started in 1985 by Salvation Army Officer Terry Pattinson. At the time Terry was in charge of Mountbatten House in Southampton, a 106-bed Salvation Army centre that cared for the elderly and also provided detoxification services. Inspired by a clothing collection scheme he saw in action whilst visiting Australia with a church fellowship group, he returned to Southampton believing that a similar scheme in the UK could raise funds for Mountbatten House and provide work for its residents. He presented his ideas to Southampton Council, which agreed to support the scheme, and ‘Mayflower Community Enterprise’ was born. Mayflower Community Enterprise produced its first red clothing bank soon after it was established. It is believed that this was the first time clothing was collected in this way anywhere in the UK. The collections were sorted and graded by residents of Mountbatten House, and sold to merchants where possible. The project also included the residents working in other ways such as making picture frames to sell, with all profits ploughed back into the centre. Terry’s scheme proved a huge fundraising success and in the late 1980s it was adopted by The Salvation Army Business Services unit, which began introducing it in other areas. In 1991, The Salvation Army set up its trading arm and the project has since evolved into one of the biggest clothing collection initiatives in the UK. We operate over 6,500 donation banks, in which the public can drop their unwanted items at a variety of convenient locations including supermarkets, schools and local authority car parks, as well as delivering thousands of door-to-door collection bags to households each week.